The Virgin Feodorovskaya was adopted as the patronal icon of the Romanov dynasty. It is in the style of the type of icon known as “Our Lady of Tenderness” in which the Virgin clasps her Child to her cheek. The version shown here has been copied from an 18th century prototype. We will only store or use any information you supply in order to deal with your enquiry. SKU: IK 15. 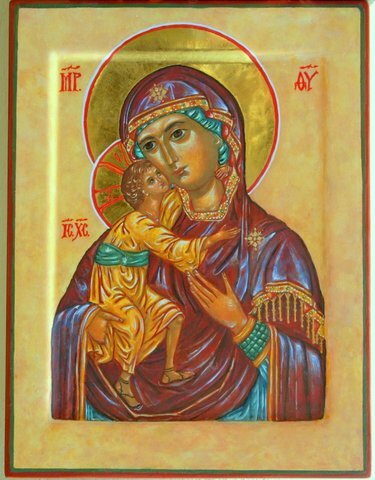 Category: Hand painted icons. This product is not for direct sale. Please send an enquiry if you are interested in negotiating a commissioned work.